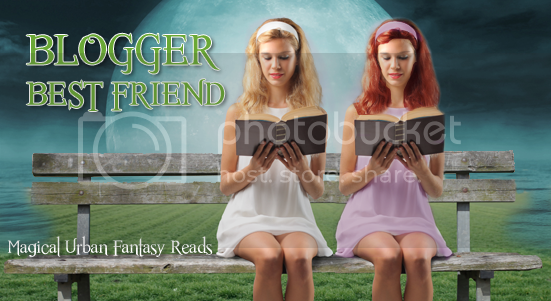 This week on my Blogger Best Friend Friday Feature, I’m featuring Jaime from Two Chicks on Books! Jaime was one of the first bloggers I could truly call a best friend when I started blogging. And guess what? She’s a local!!! I don’t quite remember when I started stalking Two Chicks on Books because Jaime and I actually started our friendship on Twitter. But even before I REALLY started stalking her, I already noticed that Jamie had a ton of pictures with some of my fave authors…and, boy, was I ever green with envy! And, yes, I definitely made a point to tell her that! Yeah, I’m always pretty vocal about my envy…LoL. Right about the time Jaime and I both discovered that we lived near each other, I asked Jaime if she was going to attend the Melissa Marr signing in San Francisco. And, that was all it took! Jamie might just as well have told me that she wouldn’t miss it for ANYTHING in the world (I think she said something like, “Hell yes I am!”) because she totally adores Melissa so we decided to carpool! Several of my friends at work were utterly terrified that I would go on a trip to San Francisco with a couple of girls I only just met online. Of course, I totally laughed it off because I already felt like I was gaining a great friend and thought Jaime just seemed way too sweet to be someone who’d want to chop me up into little pieces. He!he!he! The Melissa Marr signing was the first time I met Jaime in person, and we had a fabulous time! Not only did I find my first blogger best friend, but ever since then we’ve tried as often as possible to attend author appearances together. And the best event we’ve attended that was all sorts of AWESOME is when we traveled to Seattle to see a bunch of our favorite authors at The Smart Chicks Kick it Tour! Another reason (one of many!) that I consider Jaime my blogger best friend is that she ALWAYS tries to keep me in the loop with anything exciting in the blogging world! She will try to include me in anything she thinks I will enjoy, and she always keeps me informed about local events that come up. She even knows that I tend to forget (in the chaos of my life!) about TV shows she knows we both enjoy watching, so she will even tweet me to remind me that The Challenge will be starting soon! Now, that is truly a blogger best friend for you! And, on a more personal level, Jaime has always been there to answer her phone when I really needed to vent about some drama in the book blogging world. And, more importantly, Jaime has always been there when I really needed to talk to someone about the craziness in my personal life (without judging me), and she’s really helped me feel like I’m not crazy. If you can also call Jaime your Blogger Best Friend, then you are also very lucky. And, if you don’t know Jaime, you need to get to know her because over and above everything I’ve already said, Jaime TOTALLY ROCKS! Check back next week for my next Blogger Best Friend Friday Feature! I will be featuring the OTHER one of Two Chicks on Books. OMG I thought you were going to do both of us! Wow thank you that totally made me cry! I <33 you sooo much and you're much more than a blogging BFF to me!!! That is such a wonderful post. Funny and sentimental. Jaime is awesome, she was the 1st Blogger I met and then right after I met you at the smart chicks tour which was so awesome! This is such a great feature, and I really loved this post. So happy that you stopped at my brand new baby blog. :) This post is great! I don't have any blogger buddies just yet as I'm so very new to blogging and the book community. You're very lucky to have a friend to share in the adventure of books! How sweet! Jaime was one of my very first blogging and twitter friends, too. She is extremely welcoming. I completely agree w/you, Jaime is ALWAYS in the loop about what's up in the book world. You are so sweet Mindy!